2. What is oily skin and which products are good for your oily skin? What might be the three most annoying things for women in summer? Getting in shape, shaving, and taking care of oily skin. Oil is necessary for the skin as it helps the skin look moisturized and healthier. But too much of anything is never a good idea. When you have oily skin, your life is a constant battle against acne, enlarged pores, blackheads, oil shine, etc. The list goes on. So, what is good for oily skin to help you fight these problems? The struggle of people who were born with oily skin has brought billions of dollars to the cosmetics industry every year. They produce a matrix of products for people who just want to get rid of the annoyance of having an oily face. Before getting dizzy over a million of products that are labeled to treat oily skin, this article will give you a thorough answer for this question. What is oily skin and which products are good for your oily skin? What is the first thing that comes to mind when you think of the term “oily skin”? Oily skin is normally recognized by characteristics such as enlarged pores, blackheads, whiteheads with a thick and shiny layer. People with oily skin tend to have more problems with acne as their skin offers a good condition for acne to form. The conditions of oily skin vary due to different time of the year and the weather. When the weather is more humid or hot, our skin tends to produce more oil and get shinier. Besides time and weather, puberty, stress, diet or hormonal imbalances can worsen it as well. To understand what is good for oily skin and effectively manage your oily skin, you need a healthy skincare routine that helps reduce oiliness on your skin but also hydrates and moisturizes it. A healthy skin comes from a good thorough cleansing routine. Otherwise, all the dirt, makeup, and oil will block your pores, which leads to many skin problems such as excess oil, acne, enlarged pores, and other blemishes. When it comes to cleansing your face, it’s important to choose a gentle cleanser, because cleansers that contain harsh ingredients can increase the production of oil. Buf puf or washcloth should also come from tender materials. If you use a cleansing device, pay attention to the brush, remember to clean it periodically, and change it every three to six months. Cleansing products that contain acids such as beta-hydroxy acid, glycolic acid, benzoyl peroxide or salicylic acid can also be used for oily skin. These ingredients are advised by dermatologists to combat acne problems, but it also helps to reduce facial oil. But when you consider adopting these products into your skincare routine, you should first try it out on a small area on your skin, because these elements can be skin-aggravating. While cleansing, remember to cleanse your face gently with lukewarm water, not too hot, not too cold so that your pores can be open and all the dirt and oil will be cleaned away. After cleansing your face with facial-cleansing products, clean your face again with lukewarm water to keep your pores open, which helps the skin absorb better the products in the next steps. 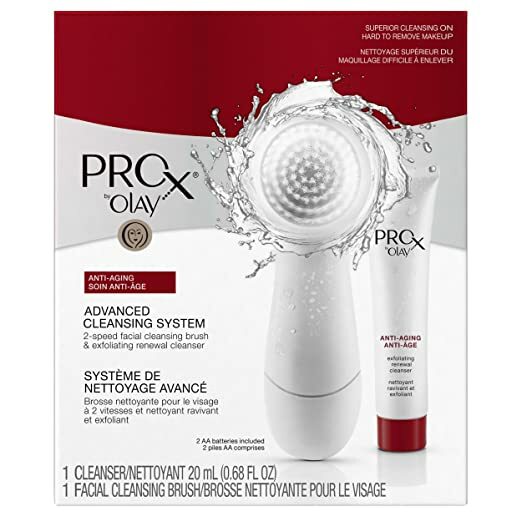 To find out what cleanser is good for oily skin, WHICH IS THE BEST FACE WASH FOR OILY SKIN will give you a glance of the best cleansing products out there on the market. 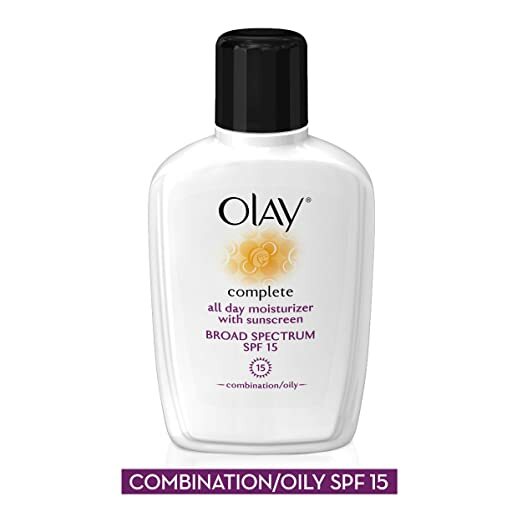 Toners are often suggested for people that have oily skin. But the question if that is actually good for oily skin is still debatable among dermatologists. Because some astringent toners can be too irritating for the skin, which could make the skin produce more oil and dry patches. But some can argue that what is good for your oily skin may not work for me. So if a toner with alcohol is an irremovable part of your skincare regime, it’s best to apply alcoholic toners only on the oily area on your skin. So, what kind of toners is good for oily skin? It is always a good idea to switch to a non-alcoholic toner. Skin-replenishing ingredients and antioxidants, what are loaded in alcohol-free toners, help cleanse the last traces of makeup, and tighten the appearance of pores. This is a very head-aching problem for people with oily skin. A good toner for oily skin will also wash away all signs of stress after a long day and recharge your skin with healthy elements. For some people, toners with moisturizing elements are already enough without a moisturizer following up because it can be too oily for the skin. One of the most important steps is exfoliation, but many tend to ignore this step. Due to the fact that oily skin constantly produces oil, and enlarged pores contains more dirt and makeup that isn’t washed away properly, a layer of dead skin is built upon our skin. Therefore, exfoliation is a step that is not to be ignored. Exfoliating your skin once or twice per week will diminish this dead skin layer, stimulate your skin to regenerate and help free your pores. A good exfoliator can also keep those stubborn blackheads and whiteheads at bay. But when choosing your exfoliating products, remember not to use an exfoliator that contains skin-aggravating ingredients or large grains. Salicylic acid (BHA), which is considered to be the best exfoliating ingredients that are beneficial for oily skin, will not only exfoliates the dead skin on the surface but also penetrates deep into your skin, frees the pore linings and allow oil to get to the surface of the skin. Thus, salicylic acid not only clears your skin on the surface but also helps solve the hidden problem underneath. A crucial step to have a young, healthy-looking skin is applying sunscreen. Keep your skin from being exposed to the ultraviolet radiation will help slow down the skin aging process, prevent traces from forming, reduce dark spots, and prevent skin cancer. However, many people with oily skin are hesitant to apply sun protection products since it can be too thick or greasy for oily skin during the daytime. There is a wide range of sunscreen products on the market, which are custom-made suitable for many skin types. Sunscreen lotions or sunscreen creams may be too thick for oily skin. Sunscreen gels are better suited for oily nature of the skin thanks to its light-weight texture, which helps the skin breathe easy underneath all day long without clogging pores. The most suitable sunscreen for oily skin is oil-free sunscreen. It is needless to say that oily skin doesn’t need more oil on the surface to leave an uncomfortable, shiny look on the skin. When your skin is already oily enough, it’s important to choose every product with oil-free, alcohol-free, lightweight, and breathable texture. Now you might ask: My skin is already shiny enough, do I need to make it even shinier? What many people may be surprised about is that moisturizer is actually what is good for oily skin. When the skin is not moisturized enough, it produces more oil. Therefore, a good moisturizer will make your skin look healthy, hydrating, refresh and enhance our skin condition in the long term. A feather-light moisturizer, which can be gel, light lotion or serum, contains lots of antioxidants and skin-regenerating ingredients. And keep in mind to go to an oil-free moisturizer, what is always considered to be good for oily skin, since your skin needs to breathe easily and renew itself during eight hours of sleep. What is good for oily skin is that it is moisturized and hydrated enough, while being offered ingredients that help get rid of excess oil and keep the pores unclogged. One of the things that beauty gurus everywhere advise people with oily skin to do is applying masks. A suggested routine for masks by dermatologists is twice or three times a week, therefore, the skin is not overstuffed with nutrition and has time to absorb everything. The go-to mask for oily skin is clay mask. 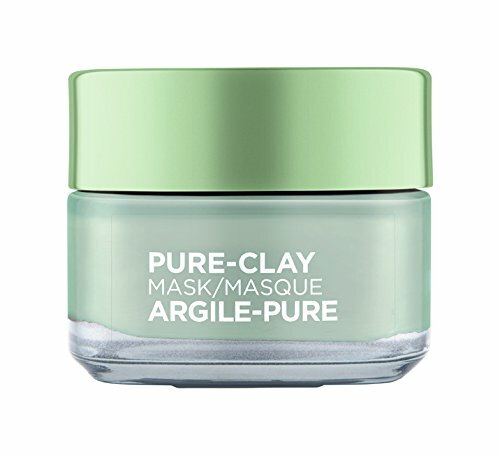 The minerals in clay masks penetrate deep under the skin, absorb all the dirt, makeup and excess oil that are left on the skin and bring a clear, refreshed look to it. However, it is important to keep track of the time that you leave the mask on because clay, when left too long on the skin, over 20 minutes, can dry out our skin and cause breakouts. Another type of mask that is beloved among people with oily skin is hydrating mask. Hydrating masks have many different types and textures, ranging from gel to sheet mask. These two types are both light for oily skin to absorb, help hydrate and moisturize your skin after just ten to fifteen minutes. Blotting papers are the best friend of people with oily skin. These are small, handy, useful and easy to use. There are plenty of blotting papers on the market for many types of skin. All you need to do is take out one piece of blotting paper and press it gently to the oily area, from fifteen to twenty seconds. Don’t rub it on your skin, especially on the area that contains acne, to avoid irritation. These blotting papers will help absorb all the excess oil on your skin and give you an oil-free look. Some cosmetic blotting papers also have powder in it, which further control the oil production on the skin. In conclusion, when you have oily skin, there is no way for you to change the nature of the skin but you can understand your skin and control the oil production. What is good for oily skin is that you remember not to use products that contain irritating ingredients and go for lightweight, alcohol-free, oil-free products. It’s important that you understand what is good for your oily skin and listen to it. If you have oily skin and find this article useful, please LIKE and SHARE it with your friends.